You’ll want one of these at every entry point, but yikes! Those subscription fees! We dig the Kuna smart home security light. It replaces your existing porch light with one featuring a built-in video camera, a motion detector, a Wi-Fi adapter, and a two-way intercom. It connects to your home network and sends alerts to your smartphone when someone approaches your door. It will also record a downloadable video clip, and you can speak to the person in real time or play pre-recorded greetings that will encourage them to go away. There’s just one major drawback: You’ll need to pay a subscription fee to get the most value from it. Before I get to that, let me tell you about the Kuna and its sister device, the Maximus (essentially the same product with a different name. It’s also $199 and is available at Best Buy and Home Depot). Both lights feature attractive industrial designs and are available in three models to match your home’s décor. We reviewed the Craftsman model, but you might prefer the Traditional or Contemporary looks (see below). Whichever model you choose, you’ll get what looks like a conventional porch light with all of the features I’ve outlined above. The integrated motion detector sends an alert to your smartphone whenever someone steps into the vicinity, and it triggers its onboard video camera to capture whatever is going on within its somewhat narrow 116-degree field of view. The camera is capable of recording video (with sound) at up to 720p, but the actual resolution depends on the bandwidth available on your broadband connection (Kuna recommends you have a minimum uplink speed of 1Mbps). These clips are uploaded to the cloud—but they’re available for viewing for only two hours if you don’t have a subscription, and you can download only three clips per month. The Kuna home security light is available in three architectural styles. The Kuna is very easy to install—the documentation is clear and easy to understand, and the manufacturer provides a couple of tools that make the process easier (including a rigid wire that you can temporarily hang the fixture from while you’re connecting the electrical wires). The camera lens pivots in its enclosure underneath the light, but I had a little trouble maneuvering it into just the right position to capture all the area in front of the door. While I can’t entirely fault the camera for that, it is something you’ll want to keep in mind if you’re replacing an existing light (and you will be unless you’re wiring a location that doesn’t already have one). You connect the camera to your Wi-Fi network by first establishing a Bluetooth connection between it and your phone. Enter your Wi-Fi passcode into the app, and it then seamlessly establishes the connection to your router. Back to the issue I encountered: When I took down the existing porch light from the 1950s home I installed the Kuna at, I discovered that there was no junction box—the existing light was screwed into the siding and there were just two wires sticking out of the wall. So I had to take a keyhole saw, enlarge the existing small hole, and put a box in (both to protect the wiring and to have something that I could secure the light to). But the light ended up higher on the wall than the swivel around the lens could compensate for. The camera and motion sensor are mounted beneath the light. You can manually pivot the lens, but this is not a motorized pan/tilt camera. The Kuna isn’t outfitted with infrared LEDs, so it depends on the light being turned on to capture video at night. 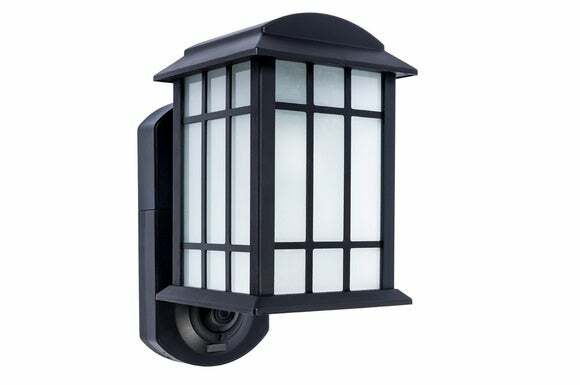 Since most porch lights are connected to wall switches, you’ll want to pick up a guard that will prevent the switch from being turned off, disabling the camera. Something like an Amertac-Westek CSG1 would do the trick, and they’re cheap ($1.99 for a pair, available at Amazon). The Kuna is equipped with an E26 socket, so you could screw an incandescent bulb into it, but the company recommends using either an LED or a CFL bulb with maximum brightness of 800 lumens to eliminate glare on the camera lens. You can turn the light on manually from within the app (available for Android and iOS devices), program it to turn on in response to motion, or program it to turn on at dusk and off at dawn (or on and off at specific times, if you prefer). You can also use one schedule for weekdays and an independent one for weekends. You can do the same for the motion detector. Don’t want to be disturbed by alerts? You can turn that feature off (though you shouldn’t) or program a timer to disable them temporarily. If you have multiple cameras, you can copy these settings to all the units registered to the app. There is no web log-in, unfortunately, so you can’t monitor the camera from a computer. You can grant access to multiple users; they just need to install the app. The camera has a limited field of view, making it easy for a visitor to stand outside its range (assuming they know the camera is there, of course). The Kuna app is really well done. You can get a real-time view whenever you want. When it alerts you that someone is at your door, you can see a live feed from the camera and converse with that person in real time using your smartphone (the light has both a mic and a speaker). If you don’t want to use your own voice—if you’d prefer not to reveal your gender, for instance—you can push a button to play three pre-recorded messages in a male voice: “Can I help you?” “I’m sorry, we’re not interested,” and “I’m sorry, we’re pretty busy right now.” If your unwanted visitor proves reluctant to leave, you can sound a 100dB klaxon that should do the trick. You should be aware, however, that the only voice the recordings will capture is from the person on the other side of the door. A Kuna spokesperson told me the mic doesn't record what you are saying because it would create an echo. The subscription fee isn’t particularly onerous—$4.99 per month if you pay for service a full year at a time—but that’s a per camera fee (and it jumps to $7.49 if billed monthly). A 14-day free trial is included, which will convince you in short order that you want the full Monty. If you decide you love the Kuna so much you want to add one to your back door, too, you’ll want to move up to the $9.99-per-month plan, which is good for up to four cameras. 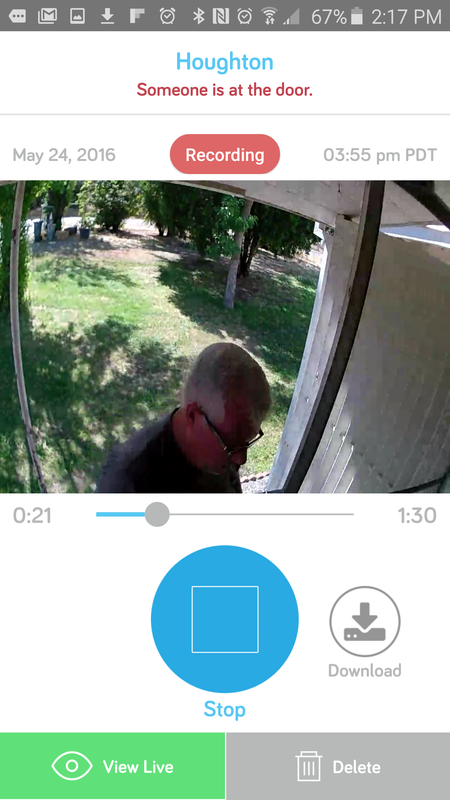 Now you can deploy a camera at your garage door as well as another entry point for good measure. If you live in a very large home, you can deploy up to eight Kuna lights and pay $19.99 per month. All three service plans include unlimited video downloads, lifetime theft protection (if someone has the audacity to steal your light, Kuna will replace it for free), and discounts on future device purchases (five, 10, and 15 percent respectively). Video retention time also increases as you move up the three plans: Seven days with the base plan, 14 days with the midrange plan, and 30 days for the most-expensive plan. 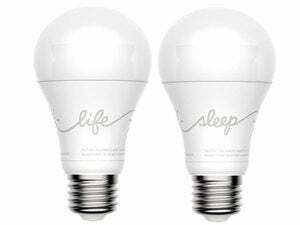 At $200, the Kuna costs about the same as a budget porch light and an outdoor home security camera, but it’s far easier to install than buying those two devices separately considering that they both need electrical power. The hardware and the software are excellent. But you’ll quickly discover that the “optional” subscription fee is more of a requirement than a choice, because two hours of look-back time and three downloads per month won’t be adequate if you suffer a break-in and want forensic evidence to help the police find the perp. The $4.99-per-month plan is reasonable if you can resist the temptation to add a second unit, but most people won’t. And adding just one more camera doubles your monthly commitment. Yes, you can add three more cameras once you step up, but Kuna doesn’t offer any indoor models, leaving a hole in your coverage. We’d rate the Kuna higher if the base plan supported two cameras. 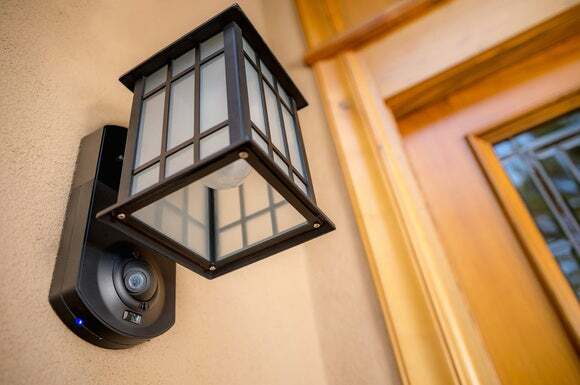 As for the top-of-the-line eight-camera service, you should consider a full-blown connected-home/security system with a professional monitoring service attached at that point. You’ll pay a little more, but you’ll get a lot more than just perimeter video security.